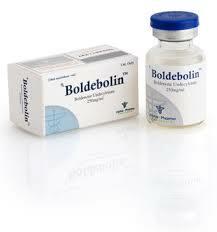 Rexogin – anabolic steroid and moderate androgenic effects by the Indian pharmaceutical company Alpha Pharma. The main active ingredient – aqueous stanozolol. Product form – packing of 10 ml and 10×1 ml of 50 mg/kg. The first company, which produced stanozolol – Winthrop Laboratories, provided its use only for cross-country riding, but not in humans. Rexogin from Alpha Pharma now in Europe! Chemically stanozolol is a derivative of dihydrotestosterone, and is an antagonist of progesterone. But, despite this, it does not prevent the effects of progestogens nandrolone in the body. The main difference from the majority of steroid analogs is no attached ester. It has both positive and negative consequences. On the one hand, an aqueous suspension of stanozolol is rapidly absorbed into the blood, providing an effect almost immediately after injection. But at the same time, frequent administration of the drug can cause a number of negative consequences, such as the formation of lumps and soreness at the injection site. 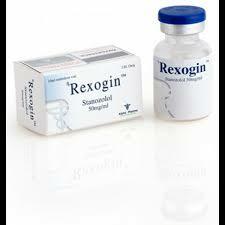 Duration of Rexogin is about 8 hours, the time of detection to the doping control – up to a year. Thus, although stanozolol and not put on the air, modern technologies make it possible to detect long-lived metabolites after a long time. Use of steroid competing athletes could jeopardize his career. Scandal named Ben Johnson – Athlete, deprived of his Olympic gold medal in the sprint because of the discovery of traces of stanozolol in his body, it is one of the biggest revelations in the sport. The effects of the reception and where to buy Rexogin 10 ml? Increased bump and vascularity of muscle fibers. Admission of the drug is virtually volume growth of muscles. But significantly improves the appearance of muscles. 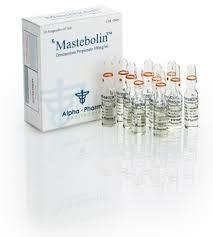 This property determines the popularity of the steroid in bodybuilding as a means of precompetitive preparation. Chance antiprogestagenny and anti-estrogenic effects. The course is ideal for athletes that are interested in increasing power performance and endurance without gain in weight. The athlete with a moderate amount of fat and enough weight to stanozolol can achieve significant results. The optimum dosage injectable stanozolol is 20 milligrams daily. For boxers and athletes will be enough of 10-20 milligrams. However, the rate and duration, dosage and better align with the sports doctor. The average duration of administration Rexogin by Alpha Pharma is about 6 weeks. You can spend and longer course, but then significantly increases the risk of liver damage. 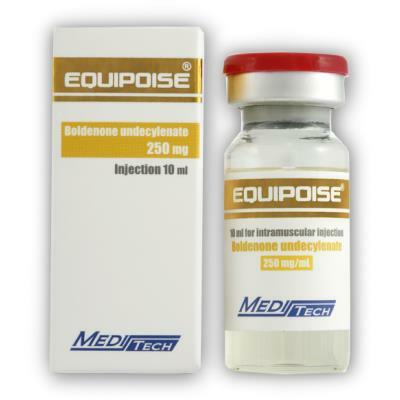 As for how to make Rexogin on the combined courses, the ideal combination is the inclusion of a steroid with strong androgens (such as Methandrostenolone, Testosterone or Anadrol). These mixes are obtained fairly balanced, having a high anabolic effect and a low probability of occurrence of adverse side effects. When combined admission to the FCT as Clomid or Nolvadex is used, and in the course itself are included aromatase inhibitors. The most frequent side effects of Rexogin – pain in the joints and ligaments. Athletes who do not follow the dosage at risk “break.” To minimize such effects stanozolol is better to combine with the “deck,” and testosterone, as well as the use of special additives that strengthen ligaments and joints. It may also be an adverse reaction as a rise in blood pressure, increased levels of bad cholesterol, acne, suppression of secretion of testosterone. To minimize the effect on the liver, is recommended to use milk thistle extract.